This custom designed weedless jig head works perfectly with Shane’s Baits Rigs. Total weight of this jig is just 1/16 oz! 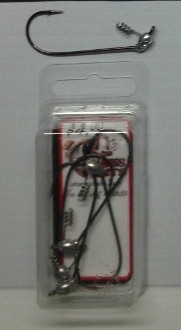 When used with Shane’s Baits rigs, the lightweight design of this jig helps keep the total weight to a minimum.